WHAT WILL READING THIS REPORT DO FOR YOU? For almost any business, credit card fees are a common cause of concern. Business owners and entrepreneurs are busy. However, the time that you invest to read this report and apply its information will have a significant impact on your bottom line. 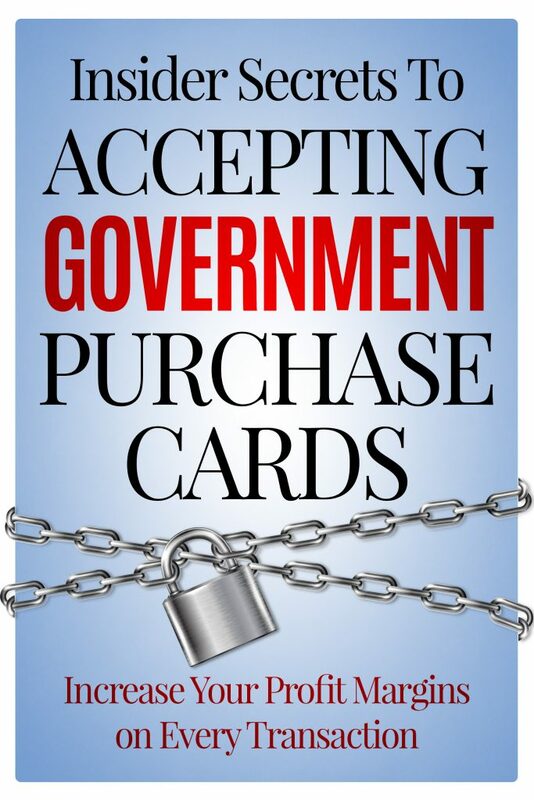 Setting up a merchant account to accept government credit cards is different than a standard merchant account. Most business owners are completely unaware of how credit card processing rates and fees are calculated and assessed. I wrote this guide to raise industry standards by increasing awareness while empowering businesses with knowledge to help make more informed decisions when choosing a processing partner. Most banks would prefer you did not know this information, because once you do and apply, you will be able to convert much of their profits back into your own.